This series has been so much fun! So many ideas but so little time. Let’s talk about nature studies today. Studying nature helps to teach children how to use their powers of observation, not to mention appreciation of the world around them. I know what you’re thinking. This can only be done at Animal Kingdom. Let me show you how to get it done regardless of which park you are in at the moment. Before we talk about nature in the parks, let me tell you what we do for nature studies. We go outside into nature and sketch what we see. That’s all I require of them while we are out. When we return home, they look up their item in the Handbook of Nature Study and add pertinent info to their page. Sometimes they are able to get info from a Cast Member about the animal eliminating the last step. It shouldn’t take long to sketch it in your notebook. Madison always takes longer than the boys but she really likes to draw. Logan would rather Google it than look it up in the Handbook so he does that instead. 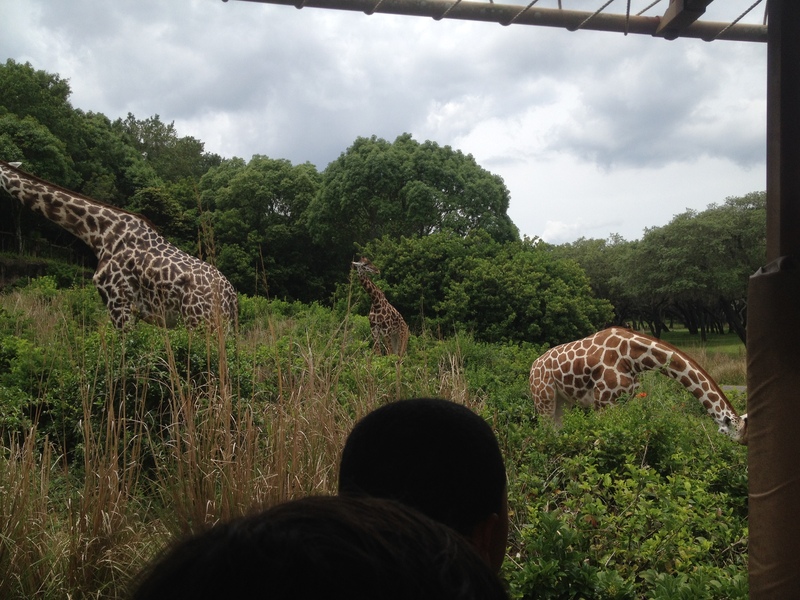 Animal Kingdom is the no brainer place to do nature if all else fails. There are animals everywhere. One safari ride will give you more than enough to sketch forever. Over in Asia , there are the really cool monkeys on the island. There are the animal trails in Asia and Africa. The bird show in Asia is phenomenal as well. Lots of flora and fauna everywhere. The train ride over to Rafiki’s area is not to be missed. You don’t even have to try at this park to get it done. Epcot has the Land along with the Seas which also lend themselves well to nature studies. There are often hands on activities going on in the Seas at any given moment. There is a touch tank as well. Highly recommend this area at some point in your trip. This park also lends itself to wildlife. It’s a great place to watch squirrels, ducks, and wild rabbits. Just sit quietly on a bench near the edge of the water. People watching is great too but that’s not nature. The Flower and Garden Festival is also a great time to study and learn lots about flowers. Magic Kingdom has nature too. The moat by the castle is home to many ducks. The landscaping at all the parks is unparalleled and easy to sketch. Other than the Flower and Garden Festival, this is where we usually study our plants. 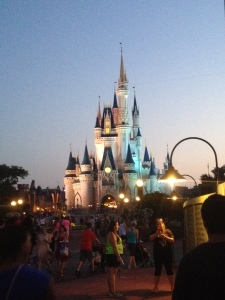 It’s fun to go over to Tomorrowland to see the palm trees that fold up at night too. We only do nature once per week. We throw our sketchbooks in the backpack and we’re off. Sometimes we wander off to the resorts too . Since each is themed, there is a whole other level of nature study there. But that is a different post for this series. 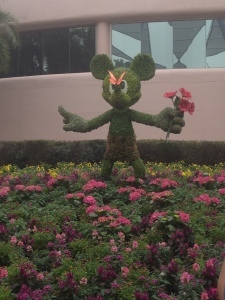 What is your favorite piece of nature at Disney Parks? Disclosure: There may be affiliate links in the post above. 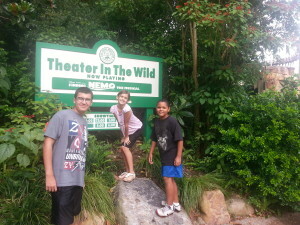 By clicking on them , you help pay for my family’s annual passes to Walt Disney World. On a good month, we get Mickey bars too! Thanks! This sounds like a brilliant idea for teaching children about nature – while surrounded by it, rather than in a classroom. I admire your motivation, I don’t think I could do home schooling, with the entire curriculum to teach. You are doing a great job! So I am visiting from the Ultimate Blog challenge. 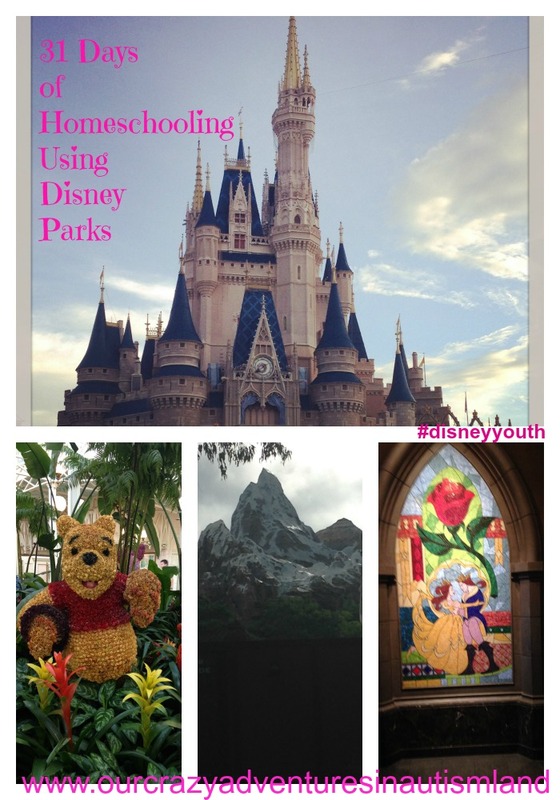 As a fellow homeschooling family, I love the idea of using a visit to a theme park to create educational opportunities. We try to visit Busch Gardens Williamsburg every year. 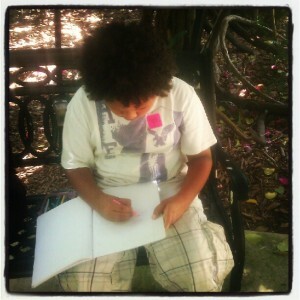 The flowers and such there are beautiful – so I may have to implement them bringing sketchpads in the park with us. I thoroughly enjoyed reading about your adventures. The Handbook of Nature Study is a fantastic resource and I love using it. Safe travels and have more adventures. Look forward to reading more.